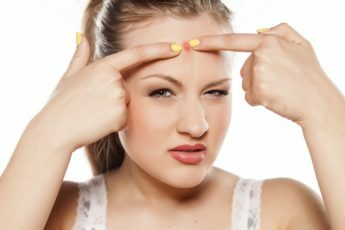 How can I Banish Pimples? It is tough to say there is a single product out there that can completely get rid of pimples because what works for one person may not work for another. When it comes down to it, getting clearer skin has little to do with following the exact routine a person follows – it is all about experimenting. Still, there is a reason why there are certain skincare routines and treatment options that work for a handful of people. It may help reduce excess oil production or it could stop unwanted bacteria in its tracks. If traditional acne products are not working as well as you would like them to, here are a few natural remedies you could try to treat acne on your own. Clay masks (bentonite, kaolin, rhassoul) are beneficial for those looking to have great skin due to its powerful absorbing powers that gets red of toxins, bacteria, sebum, blackheads, whiteheads, and dead skin. While doing this, it also delivers oxygen and circulation to the face. As it gets rid of things we do not want on our face, clays are filled with minerals that are transferred to the skin for the body to use (many of which we are deficit in). Exfoliating the skin, at least weekly, will help remove debris and dead skin on the surface of your skin. The key in using the right exfoliator is choosing the correct level of abrasion based on your skin type (sensitive, normal). For example, a gentle exfoliant like oatmeal is perfect for those with delicate skin, and a mineral based exfoliate such as sea salt will yield the best results for those with normal to combination skin. Honey, coconut oil, and kefir are excellent bases to blend with the exfoliant of your choice due to their healing and bacteria fighting properties. Garlic is nature’s incredible antibacterial that can help stop pimples when it is eaten or applied on the affected area. If you decide to use it topically, slice a portion of the clove thinly to get to the juice before placing it on the problem area. Alternatively, you may blend the garlic clove. Be sure to keep it on your skin for at least 10-30 minutes. Apple cider may not smell appealing, but what it can do for the body, inside and out, makes up for it. You can drink it or apply it directly to the spot you wish, and be sure to dilute it with water to find the best solution that works for you. While it is a powerful anti-fungal and anti-bacterial, apple cider is equally refreshing. Raw, unfiltered apple cider is suggested because it is filled with the most nutrients. It can be used as a spot treatment when you are breaking out or as an overall toner for the face after cleansing. Many would not think that cornstarch is not good for anything other than cooking, but it is a splendid natural remedy that is soothing and gentle. It is ideal for those struggling with irritation and redness. Cornstarch may be used as a face mask or added only to areas of concern. It should be left on for at least 15-20 minutes, but it is safe enough to leave on overnight to see an incredible change. Adding egg whites to your skin routine is sure to make a difference in not just helping fight pimples, but improving the overall texture and appearance. This cheap facial mask will even help decrease oil, the appearance of pores, and draw out any impurities. In order to achieve the best results, you should leave it on your skin until it is completely dry (as evidenced by a tight face). Here’s another bonus: you will notice an amazing glow after you wash it off. Acne is caused from things such as excess debris, a lack of nutrients or an internal imbalance which results in inflammation. Knowing how acne is started and fixing the problem is what will clear your skin long-term. Baltic Essentials Hazelwood can help cure acne naturally because it is capable of helping the body restore itself to its rightful pH and promote a healthy GI system. The hazelwood also helps fight inflammation and irritation when it comes in contact with the skin. Flareup’s may very well be a thing of the past when wearing Baltic Hazelwood, not only as an accessory, but as a secret weapon. There are people who turn a blind eye on herbal remedies although herbs are the reason many effective and widely known drugs we use today stem from it. Modern medicine is based on certain properties taken from plants or a known chemical component that has been found to be beneficial is created in laboratories. Using herbal plants are safer and gentler for women to achieve natural pain relief when treating endometriosis. One thing to keep in mind when taking the herbal path is to try and re-establish hormonal balance within the body. Other herbs that help the body build immune strength should be added afterward. As with many treatment options available, using herbal remedies for the reproductive disorder will require time and dedication in order to see and results. Ginger can help relieve nausea associated with endometriosis, but the benefits do not stop there. It can help detox your system to flush toxins, fight disease-causing bacteria and free radicals due to its antioxidant effects, improve circulation, reduce inflammation and provide migraine and pain relief. While you can get the omega-3’s you need by consuming fish, many find it more convenient to use the capsules from trusted, quality brands. Fish oil is made of DHA and EPA (highly unsaturated fats) which help decrease inflammation within the body. Research has found that the anti-inflammatory chemical, prostaglandin E2, found in fish oil may also slow growth of abnormal endometrial tissue. Castor oil can help restore hormonal balance while boosting immune function and circulation. It also helps relieve digestive related symptoms such as abdominal pain when 2-4 drops are applied directly over the stomach. Be sure to add a warm compress over the area for the oil to better absorb through the skin. The benefits of clary sage are similar to that of castor oil as well as the application process. Alternatively, it can be applied on the ankle once per day. It also has anti-inflammatory properties. Clary sage is a natural estrogen that can even help those suffering from mood swings. Milk thistle works for those with endometriosis due to its ability to cleans, detoxify, and repair the liver in order to remove toxins and restore hormonal equilibrium. It contains silybin, an antioxidant, that helps rid the body of free radicals. At least 150mg should be taken twice a day to see results. Silybin positively affects the liver by increasing the protein production of liver cells. Getting rid of adverse effects that estrogen has on endometrial tissues can help decrease the level of inflammation. Dong quai is able to balance the female hormones progesterone and estrogen when either is too high which can also be a benefit for those through menopause. It has been used for thousands of years to help promote women’s health. Baltic Essentials Amber can treat pain related to endometriosis naturally due to its anti-inflammatory and analgesic properties. Amber is derived from fossilized resin where it is handcrafted into Necklaces and Bracelets that may be worn throughout the day to feel its powers. When Baltic Essentials products are worn, the benefits are transferred from the beads to the body through the bloodstream, and relief can be possible within thirty minutes. Stress is our ultimate enemy as it comes with a variety of problems when those are dealing with it for too long of a time. Although we may not think about it, stress is a normal response that releases hormones that the skin grows sensitive to when there is too much and causes breakouts. Just when you think you were already at your wits end because of a final, upcoming marriage, or any other crisis, your skin drives you further down the ditch. It isn't always easy to determine the reason for your breakouts, but once you do figure it out you have a higher chance at controlling it. 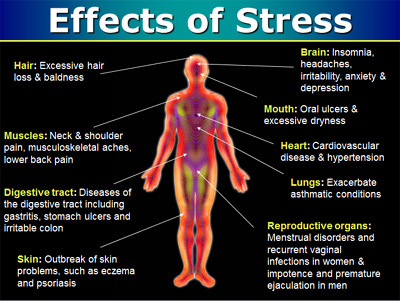 What's Going on in Our Body During Stress? A high level of stress causes excess inflammation to build up in our body and cause acne although oil production plays just as much of a role. Our body begins to secrete the hormone, cortisol, into the bloodstream when we are stressed. This does causes the blood vessels to dilate, increase blood flow, and therefore blood pressure. This is the beginning stages of the body preparing itself for a mechanism known as the "fight or flight" response. The problem is not stress itself, but chronic stress because cortisol continues to be released into the immune system where it works overtime without rest. This means that the skin, in particular, is prone to stress-induced acne. Stress also seems to have a negative relationship with the thyroids response to TSH, or thyroid stimulating hormone, causing low levels of thyroid levels. This complication invites a host of problems with possible inflammation being one of them. Even though there are a range of treatment options available for acne, it continues to be a struggle for millions of people around the world. Eating a healthy diet is not always enough; ensuring your face is cleansed morning with certain products and night is not always enough. This outcome can be extremely frustrating, but you still shouldn't throw in the white towel. The sunlight is wonderful for our skin, and can surprisingly work wonders for stress-induced acne. It's probably not a surprise for most that we need at least 15 minutes of sunlight a day to allow our bodies to produce enough vitamin D that helps with calcium absorption. The benefit the sun has with acne is that it also plays a role in combating inflammation. The warm sun may also ease depression and decrease blood pressure. Keep in mind that when you are ready to soak in a bit of that sun not to add any sunblock during your fifteen minute session. By now, you are probably getting the idea that inflammation plays an large role in the development of acne. When inflammation can be reduced to eliminated in your body, you will notice a positive difference in the texture and appearance of your skin. Baltic Essentials Amber is an excellent option for stress-induced acne because of the anti-inflammatory properties it possesses. These benefits are not wasted as it heads directly into the blood once it is warmed on the skin. The redness and pain that may occur are also addressed when inflammation is treated. If you are dealing with stress on a regular basis, Baltic Essentials Lapis Lazuli can help you cope with and even eliminate your stress. The necklaces and bracelets are extremely potent and will last for months at a time after your purchase. Back pain, for many, comes with or without a warning. It is common for younger people to experience it when they put too much strain on the area or do improper body mechanics. Even the fittest of people cannot escape from it; back pain can creep over time due to things like putting on your shoes, slipping into bed for the night or sitting down. These activities, although simple, do have an effect on your spinal health. While the same factors play a role for older adults as well, they are more prone to developing it simply because they are older, where muscles and bones weaken. This decline may start as early as 30-40 years of age. Younger adults often deal with back pain from the disk space (degenerative disk or lumbar herniation) asides from strains. Older adults often get it due to compression fractures and degeneration of the joints (osteoarthritis). There are a number of factors that may increase your risk or be the reason you feel back pain. More often than not, they are factors you can control if you want to reduce or eliminate the discomfort. Your Occupation: Workers who spend a majority of their time lifting and bending objects are at the highest risk of pulling a muscle and injuring not only the back, but other areas as well. Those who spend just as much time sitting at a desk without getting up often enough to stretch are at just as much of a r isk. It’s in Your Genes: Heredity seems to play a significant role in just about everything. Diseases like ankylosing spondylosis, a type of arthritis, can adversely affect the spine and cause back pain. Chronic and Acute Diseases: If you are suffering from a chronic disease such as other forms of arthritis or a cancer, your chances of going through back pain increase. Endometriosis, fibromyalgia, scoliosis, spinal stenosis, infections, and kidney stones. Mechanical Breakdown: Wear and tear on the body, namely the spine, typically directly results in back pain. Surgeries, accidents, overuse, and age can cause abnormal spasms, tense muscles, spinal disk breakdown, and ruptured disks. Smoking: Smoking poses a systematic effect on the body; it doesn’t just affect the lungs. The cardinal smoker’s cough can induce back pain for some. Smoking also reduces normal healing time so the discomfort a smoker feels anywhere around the body takes a longer time to go away. Having a Sedentary Lifestyle: No matter how much you weigh, not working or stretching your body enough increases your changes in getting back pain. Being Overweight: Not being active enough and consuming more calories beyond your recommended limit will cause you to gain more than just weight. The added weight, regardless of its location, can cause pain and put added stress on the back. Medicine is a multi-billion dollar industry that people use to treat, prevent, or improve their health. While no one can take away the fact that its existence has improved the lives of many, medicine is still not cure-all for everything. Many people find that other options work just as good – if not better. Others notice a significant improvement in managing their pain when they combine medicine with alternative treatment methods. Baltic Essentials Amber has been used for hundreds of years as a reliable way to ease pa in. It is made from fossilized resin and its active form, succinic acid, has anti-inflammatory properties that can help treat back pain naturally. Once the beads touch your skin, the succinic acid works its way into the bloodstream where it heals the inflammation. It does such a wonderful job at treating discomfort because it is also a natural analgesic. You can relieve yourself from back pain within minutes when using Baltic Essentials products. Diabetes is more than just an abnormal spike of glucose levels that your body is not able to control. It also involves a host of other complications such as depression, high risk of infections, blindness, and even nerve pain. Nearly 50% of people who hav e diabetes suffer from nerve pain, and its presence can alter a person’s normal sleep pattern as well as their overall emotional and physical well-being. Many complications due to diabetes appear over time, more so in those who do not control and monitor their blood sugar properly. Diabetic neuropathy is a pathological complication that creates various forms of nerve injuries when the body is no longer able to utilize a hormone, known as insulin, properly. It can strike anywhere, but it often affects nerves that run through the hands, feet, and limbs where it causes numbness and tingling. It can also cause a sharp, burning or aching pain that may be mild at first, but worsens over time as it spreads. Moving these limbs or walking can become difficult, and even the lightest of touches are unbearable for some. Physical Therapy: Engaging in physical activities such as swimming, cycling, walking and other low impact exercises for 30-60 minutes a day is helpful. It will help control high blood pressure symptoms and blood sugar while improving range of motion and strength. Exercise will help your body respond to insulin and help lower your overall blood glucose levels to the point of reducing or eliminating the need for medication. It also lowers cholesterol, stress, and improves circulation, all of which help ease inflammation and control glucose. sation in these areas will become important. Be sure to look for sores, cuts, swelling, and injuries of any kind. No matter how small it may be, they must be addressed before it becomes a bigger problem and gets infected where it can lead to the infection spreading and possibly needing to amputate the area. Be sure to cleanse your hands and feet with warm water, and dry them completely before applying lotion. Also, be sure to wear comfortable shoes that have just enough space for your feet to breathe. * Cinnamon: This spices’ job doesn’t just stop at adding flavor to our foods. It can also help regulate blood sugar levels with just two teaspoons a day. Cinnamon oil may also be used as an alternative. worsen nerve damage. It is best to get a blood test done specifically for this vitamin anytime you are uncertain you are getting enough from your diet. * Fish Oil (Omega-3): Fish oil is promoted as being good for the heart, but it can also help fight inflammation when you take at least 1,000mg per day. proven to help prevent neuropathy and improve insulin sensitivity. * Primrose Oil: Another anti-inflammatory option that decreases numbness, tingling, and burning sensations caused by neuropathy when at least 360mg should be taken per day to see results. * Essential Oils: A variety of essential oils exist that work wonders by stopping inflammation and pain such as frankincense and peppermint. They should be dilated before applied topically or inhaled. You can take the benefits of essentials anywhere you go when you use an Essential Oils Necklace. * Amber: Treating inflammation within the body in a matter of min utes is possible with Baltic Essentials Amber. The succinic acid it contains has powerful anti-inflammatory properties that treat neuropathic pain naturally when it enters the bloodstream. Wearing Baltic Amber also provides soothing analgesic effects that help ease the pain as areas of inflammation are being treated. Other than the common cold, back pain is a primary reason why people visit the doctor or go to see an orthopedist – and why wouldn’t it? 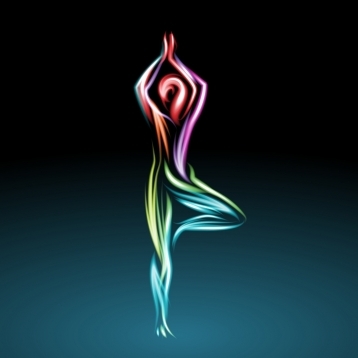 Our back is the core of our body, and we move it for just about every activity. Fortunately, 90% of people experience acute back pain, meaning it will go away within a matter of days or weeks. The other 10% of back pain is chronic, and is typical for those suffering with a disorder. Regardless, symptoms between the two are similar and range from shooting or stabbing pain to muscle aches that results in limited movement, flexibility, and inability to stand upright. Alternate between Hot and Cold: Compresses really can help alleviate uncomfortable sensations due to injuries. It can also reduce the amount of swelling and feelings of numbness. When you first notice any of these signs, you should apply a cold compress to the area first followed by a hot compress after 48 hours. Switching between the two in this order helps restore normal blood flow. Resist the Temptation to Stay in Bed: Contrary to popular belief, resting your body after an injury is not best. While you do want to rest to some degree for a few hours when you must, you do not want to remain in bed for several days until it gets better or goes away. It is better to walk around engaging in some type of light activity if you want to treat back pain sooner. Keep Your Body Balanced: Proper range of movement when lifting and moving items are a must. It is best to bend your knees when picking up things. It makes a difference to sit straight on a chair and to try not to sit or stand too quickly – your posture means everything. Supplements and Herbs: The combination of magnesium and calcium are a force to be reckoned with in regards to reducing muscle spasms. One study found that the pair eased the severity of pain and enhanced lumbar spine movement in those with lower back issues. Glucosamine sulfate is another supplement that can treat back pain in individuals who experience it due to arthritis. Herbal options such as Arnica and Bryonia help ease chronic lower back pain when combined with physical therapy. Treating back pain can be tricky and although it is extremely common, it’s one of the many issues medicine has not yet found a genuine “cure” for. It’s frightening to think that your staple skin product can also be one of the worst things for you because of the toxins and carcinogens it contains. The beauty products laid out on shelfs look attractive and say the “right” things because they are made to sell. Our skin is made to protect as much as it functions to absorb so the fragrances, preservatives, stabilizers and artificial colors are absorbed via our pores and can result in many long-term issues. Acne forms because of bacteria, clogged pores and, for many people, excess sebum production. There are two primary causes of excess oil production: excess hormones and toxicity in the body. The chances of increasing the risk of either cause is increased when using synthetic skincare products. Treating your skin the right way means using the right products and avoid using harsh chemicals. There are a ton of natural products you can use to get rid of pimples, but even one product can be effective in getting rid of the skin problem. Baltic Essentials Hazelwood can help eliminate acne naturally due to its powerful capabilities in restoring internal balance. When the necklace is worn, the wooden beads absorb excess acidity until pH equilibrium has been reached. Hazelwood also reduces the number of free radicals in the body while releasing antioxidants to help get rid of acne. The power of Hazelwood can last for months at a time when it is kept away from water (when showering or going to the pool). You will know it is time to change the necklace when the wood begins to get dark. Amber looks as if it was derived from a pretty stone, but the attractive and beneficial bead is actually made from fossilized resin that is thousands of years old. Many may not believe this wondrous source that came from a tree has so many capabilities for restoring the body. Still, there are many good things that come just from wearing amber such as improved immunity, help for wounds, and it benefits our organs (heart, liver, kidney, intestines, brain). Amber can help take away those annoying headaches, prevent asthma attacks, increase the delivery of oxygen to the body and minimize a range of diseases and disorders such as for the thyroid and joint conditions. The amazing properties of amber has been dubbed as the “magical stone” containing a powerful electromagnetic field and biostimulants that are important for the human body. Amber is capable of detoxing the body while providing anti-inflammatory properties and decrease stress. The acid works at the cellular level, and can improve glucose metabolism, which causes an increase in energy levels to allow the body to do physical work. Skin cells are rejuvenated with its use where firmness and elasticity are maintained. Our body is a vessel that should be treated with as much care as possible, but the world we live in today can make this task nearly impossible. There are toxins everywhere in the environment more than ever, and our lifestyle and food choices can make the difference between being and feeling healthy versus feeling sick and having some type of disease. Although everyone does get sick every once in a while, we are able to sprint back because of our immune system. When our immunity is weakened or when we have built up an excess amount of toxins over the years, we are slowly unable to fight off what can make us ill. Our bodies are normally designed to heal and detox on our own, but when we lack the proper amount of sleep, expose ourselves to radiation and eat the wrong foods, we are prone to developing disease. The best way to take the best care of ourselves is to eliminate as much toxic substances as possible from entering our body, and this can be done by incorporating as natural of a lifestyle as possible and detoxing. Harmful synthetic drugs can hinder our internal ability to fight off an array of diseases. Avoiding them whenever possible using natural products whenever possible can prevent us from becoming sick. When an illness or disease occurs, we can still do something about the ailment. Baltic Essentials Amber is a natural source. When a person suffers from a disease, the body’s function is out of whack. Amber allows the body to calm down and restore lost balance while clearing what is toxic. It can be used on babies, teens, and older adults without having to worry about side effects because it is completely natural. Babies, in particular, should have the necklace removed at night or any time they are unsupervised. Baltic Essentials provides 100% authentic amber so you can receive the full benefits in reducing pain. There is nothing more beautiful than celebrating the union of two wonderful people who are in love. Sometimes, it can be hard to think of the perfect gift, even if you know one or both personally. Other times you are aware of excellent gift ideas, but want to give something that remains without your personal budget. These days, couples have registries open that prevent their invited guests from thinking what would be good for them by telling them a list of things they feel they need. Of course, this is also perfect, but there are some who still want to give a thoughtful gift from the heart and be spontaneous rather than getting something that was asked for. Sending a mystery gift with a personal touch can be just as endearing and something the pair will love. These days, crafting and customizing wedding gifts are the way to go if you want to present something unique to the soon-to-be newlyweds. Sending photo albums, portraits, jewelry, clothing, bedding, and kitchenware with your own personal touch are always touching and it's also a perfect option for those who are watching their dollars. 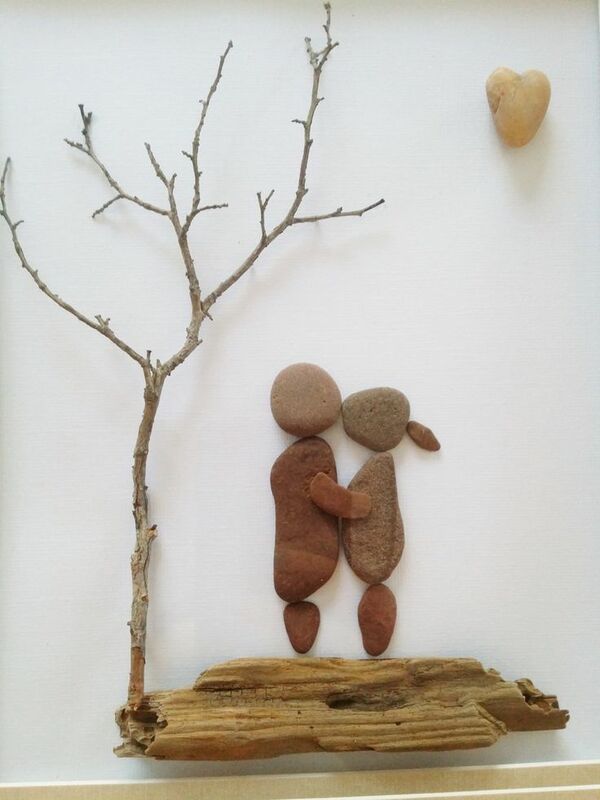 These type of gifts tell a story and the lovely couple is likely to remember the gift with a smile long after it was received whenever they see it on display or use it. Although it is true material items are minute and perishable as much as we as people are, it is the memory behind it that is long lasting. You do not have to be a professional to make a gift; anyone has the ability to create a present because it is thought and determination rather than skill that truly matters. Ordering personalized items are also easy, and most can be done in the comfort of your own home online or while you travel with your Smartphone. Marriage between two individuals is sacred, and many of us would like to be able to bless the newly formed bond. The dream is for the pair to remain together until the end, and a sweet way to express that wish is through Baltic Essentials Amber. The gemstone is dubbed as the love crystal, and its worn to enhances ones attractiveness while promoting eternal love. Baltic Essentials Amber can be worn to call your loved one as well as be protected from any negative relationship interference from the environment. Since it is the very embodiment of love and beauty, it is an excellent gift to give the couple who are entering marriage or are renewing their vows. Amber can be purchased in the form of a Necklace or Bracelet. The beautiful beads are made from authentic amber, and are individually threaded to ensure it can be worn for a long time.